i was watching tv in bed a few nights ago and realized it got quiet. i looked over the side of the bed to find leko just hanging out like this with half of him under the drawers and half of him sticking out. i had to grab my phone and snap a picture for ryan. what a silly kitten! Too cute! Looks like he is stuck. Those eye look like he was up to something and got caught. Great picture. What a goofy kitty! 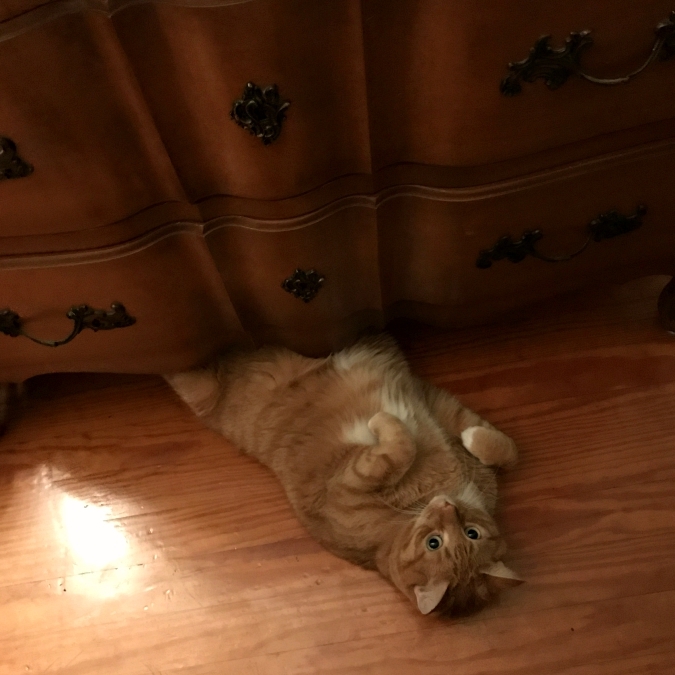 It reminds me of when he was a little kitten and kept going under the entertainment center.